This is a Lumut Travel Guide, it will give you all the insider information about Lumut. Lumut is located at the state of Perak and you will probably pass by this town if your final destination is Pangkok Island because it is the gateway to the famous resort island. Lumut development has been boosted with the nearby Pangkor Island and with the Royal Malaysian Navy making this town their home base. Since then, it has been transformed from a small fishing village into bustling city. Many sea products like “Satay Ikan” (the spicy barbecue fish) can be found at many of the shops near the jetty. Pangkor Island is one of the little islands just off the west coast of Malaysia. 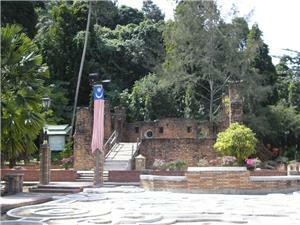 It can be reached by regular ferry and speed boat service from Lumut jetty or by flight from Singapore or Kuala Lumpur. Today the island is guarantee ticket for an excellent beach holiday. The best beaches are on the western side of the island. Scattered over the island are small fishing villages and temples, such as the Taoist Fu Ling Kung temple. 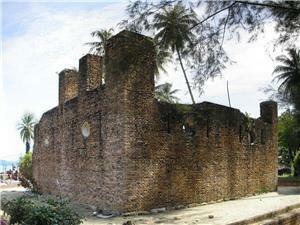 The island’s only historical site is probably the Dutch fort Kota Belanda (or rather, what’s left of it). Aside from the Lumut travel guide, this transportation guide will gives you the transportation tips when you travel to Lumut. Express bus service is available for arriving to Lumut bus terminal from Ipoh, Kuala Lumpur and even Singapore. The bus terminal is just within 5 minutes walking distance to the jetty, where visitors transfer to ferry to Pangkor Island. For more information about Bus to Lumut, check out details from us today!